In what could potentially be a rather interesting case that could serve as precedent (binding law/law to follow) for modern day Ghanaian fashion designers, Makeba Boateng (UK trained designer and Publicist) takes on an alleged friend turned enemy, Confidence Haugen, for trademark infringement of her logo, Keba Clothing. The case was filed in a ‘”Fast Track” high court in Ghana and the judge, a few weeks ago, issued a preliminary injunction, at the request of the Plaintiff, stopping the Defendant, designer Confidence Haugen, from further use of the alleged infringing logo. Less than a few weeks later, the judge overrules itself and agrees with the defendant,via her lawyer’s argument in court, that it did not have the power to even hear the case i.e. jurisdiction. The case has just been dismissed and Boateng, it appears, will have her lawyers re-filed the claim in the appropriate court with the power to hear intellectual property cases. So, expect a possible full blown case on whether Haugen infringed on the trademark rights of Keba Clothing. The court reversing itself means Haugen is back to transacting and selling clothes under the alleged infringed mark. Trademark infringement in the African fashion industry is commonplace. This is no different than countries in the West who also experience similar infringement issues. What’s different, however, is that Western designers/design houses prosecute and do push for prosecution when their intellectual property rights are infringed upon/violated. They understand the old adage that your name is everything, especially in fashion. In contrast, African designers, from my experience, wish or pray the problem away. A combination of prayer and action i.e. filing a lawsuit in a court of law on African soil, I think, is the better way to go. It is good to see Boateng initiate the action through Ghana’s legal system. There is no need, at this stage, for me to comment on the merits of the case i.e. who is right or wrong. The facts are too bare bones, in my view, to really give an objective opinion without more. I am focused here on African designers availing themselves of a legal forum/judicial system in resolving their legal disputes. I think it is a good thing and definitely beats the long history of fighting these kinds of disputes either offline with verbal or physical brouhaha or on social media i.e. twitter, facebook etc. It’s a good look. Let’s see what becomes of this case. Read the details below for the reported/alleged facts from Myjoyonline.com. “Confidence Haugen, owner of Aphrodisiac Nite Club, has reopened her Kofidence fashion line shop after an Accra Fast Track High Court agreed that it erred in granting a restraining order against her. The Accra Fast Track High Court had on Thursday, May 23 granted an ex parte application brought against Confidence to stop using a logo she was using for her Konfidence fashion line which was launched in September 2012. The court, presided over by Justice Cecilia H Sowah, placed a restraining order after Ghanaian designer Makeba Boateng, who owns Keba Clothing, sued Confidence for infringing on her intellectual property rights having created and actively used and popularized the logo since 2002. The court ordered the cessation of the use of her “K” with a butterfly logo for the Konfidence Fashion Limited and its products which includes shoes, bags and accessories. Lawyers for Makeba had argued that she has been duly acknowledged by the Registrar General’s Department as being first-in-time to initiate the process to register the logo under the country’s trade mark laws. When the case was heard Thursday, June 6, Bobby Banson of Minkah-Premo & Co, Counsel for Confidence Haugen argued that with regards to the tenets of the law, copyright cases/intellectual property cases are heard by a Commercial Court and not a Fast Track Court and therefore the Fast Track High Court erred in granting the interim injunction. . .” Myjoyonline.com has the full story. Public relations executive and former Miss Ghana UK, Linda ‘Makeba’ Boateng, daughter of a well-known Koforidua family, has returned home (she returned almost a decade now) to help further Ghana’s position on the world scene, she says. In Linda’s suitcase of skills, honed in London, are her diplomas in public relations, interior design and textiles gained at the London Institute and work experience as account executive for the leading black-owned PR agency, ASAP Communications. Her clients included Revlon Cosmetics, British Telecom, Sony, Black Beauty and Hair Magazine and London’s Millennium Dome. Linda, whose Ashanti name is Nana Yaa Pokuaa, has appeared on television and radio, and in countless publications world-wide from the tender age of 14 when she went to Trinidad and Tobago to play the steel pans. Her crowning as Miss Ghana UK in 1993 marked the rise of beauty pageants for the African communities in the United Kingdom. She is proud that “Ghanaians in the UK are among the leading figures in the communication profession – from marketing and promotions to website development and e-commerce.” But, the brainy beauty queen adds, “The time has come for those of us who are committed to our roots to make a meaningful contribution to our homeland”. Ms. Uduak Oduok is the Founder and Editor-in-Chief of Ladybrille® Magazine. 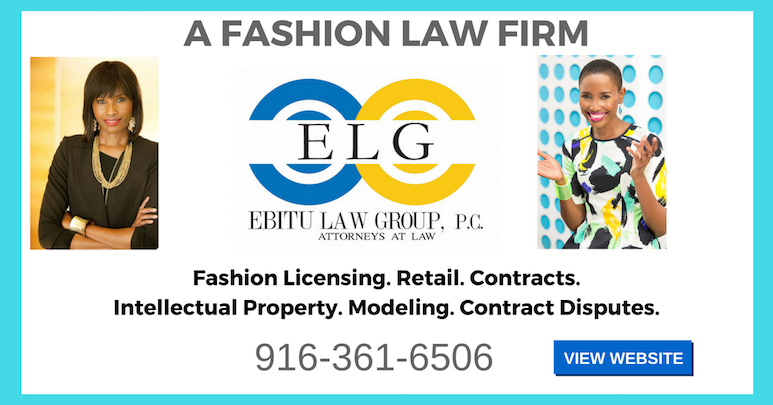 She is also a Practicing Attorney and Partner at Ebitu Law Group, P.C, ebitulawgrp.com where her practice areas include Business Litigation and Fashion & Entertainment Law. She has counseled a range of clients from musicians, models, actors and actresses to designers on numerous areas of the law including contracts, business law, fashion and entertainment law, copyright, trademark i.e. intellectual property law. She can be reached at (uduak@ladybrille.com) to share/pitch your fashion law related stories for a feature on Ladybrille. 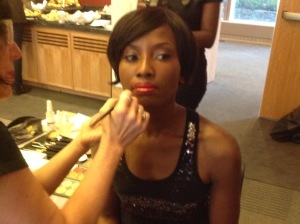 All other inquiries, please visit the www.ladybrillemag.com/contact page for appropriate contact email. DISCLAIMER: Nothing herein forms an attorney-client relationship. The legal commentary & analysis provided on Ladybrille is for informational purposes only and is not meant nor should be construed to be legal advice.